This is a sponsored conversation shared by Wrapped Up N U on behalf of LEGO Star Wars: The Freemaker Adventures Season 2. 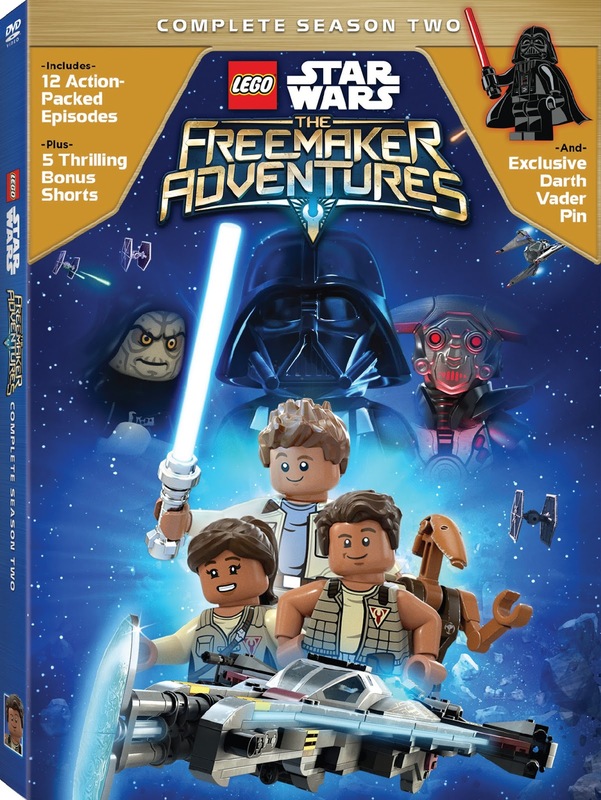 We love all things Star Wars at Wrapped Up N U and are thrilled to bring you this giveaway in celebration of the release of the Emmy®-nominated "LEGO STAR WARS: THE FREEMAKER ADVENTURES" SEASON TWO. The second season of “LEGO Star Wars: The Freemaker Adventures” delivers all 12 action-packed episodes plus five bonus shorts on DVD! The Emmy®-nominated animated television series is set between Stars Wars: The Empire Strikes Back and Star Wars: Return of the Jedi and focuses on the three Freemaker siblings as they explore new worlds, meet new characters and Star Wars icons, and have unforgettable adventures. The second and final season follows Rowan, Kordi and Zander as they are thrown into battle after they join up with the Rebels! Bring home the out-of-this-galaxy adventure on DVD on March 13, 2018! 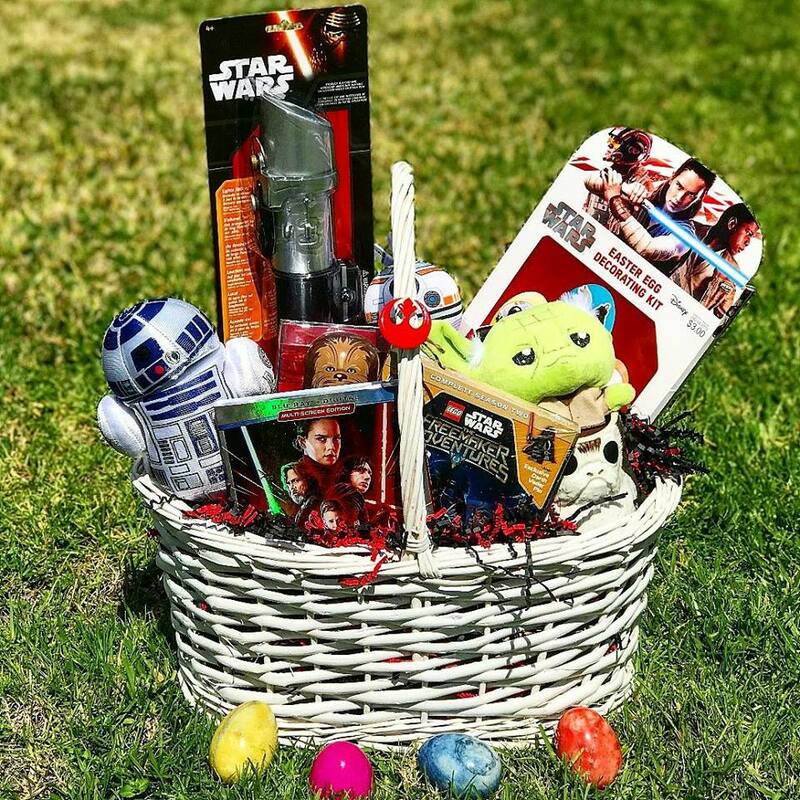 Welcome to the Star Wars Easter Basket Giveaway! Disclaimer: Wrapped Up N U nor any blog promoting this giveaway, is not responsible for the awarding of the prize. Sponsor is responsible for prize fulfillment. As Always…Thank You For Visiting Today ~ Please Leave Some Comment Love While You Are Here! I like Star Wars they have some pretty amazing lightsaber fights and it has a good story line. It isn't really me at all, but the rest of my family is nuts about the whole thing! I'm not a huge fan, but my son is...and his favorite character is the Wookie. I’ve been a super fan since I was four years old, and saw ‘The Empire Strikes Back’ In theaters! Throughout the Eighties, Nineties, and ‘00’s, I’ve enjoyed every incarnation. I loved getting to watch the season finale of ‘Star Wars: Rebels’ recently! I have been a Star Wars fan since the 80's. I have been a huge fan of Star Wars since the first movie was shown in theaters in the summer of 1977 and to present day, I always will be. My husband is the biggest Star Wars fan that I know with my middle son a close 2nd. I love Star Wars. I am a huge fan. I even named my dog Chewie after Chewbacca. I've been a fan of Star Wars ever since I saw the first film when I was a kid. There are many characters within movies I think of when I have the thought of which I liked most and Star Wars is at the top. I think the reason I liked it most was that it reminded me of my family of which I was raised by a single mother and later was re-contacted by my father! Thus the choice was mine to make, and I was always into building things that would help my mother and family with finances being the little we had.... and in childhood experiences I learned to build a stronger self-confidence and when / if I ever have a friend make sure before I consider them a 'friend' think carefully within my heart, mind and soul with complete thought / reason before action. Small in size but wise and often separated, I trained through avid reading / writing just to continue to this day I could have such powers and abilities that I could use to change this world! I haven't seen ANY of the Star Wars movies but I know a lot about them because my entire family, including extended, is nuts for it. I've been around when they have been playing in the background, but never just sat and watched. I've seen all the movies and enjoyed them but I wouldn't say I'm a huge fan in general. My boyfriend is so I'd love to win this for him! My hubby is a huge Star Wars fan who got me and our 2 boys hooked on it too!! We have watched all of the movies and hubby has huge collection of Star Wars stuff. Star Wars is something of a personal sore spot. I’ve seen all the films, watched my fair share of The Clone Wars, and thumbed through a comic or two, but I have never and probably will never be able to love the franchise. I think it all stems from the fact that growing up as a kid, I never had much of a connection to Star Wars. I am such a fan, that I got my daughter to watch these movies. We both love them! I like the earlier 3 movies. I have always liked Yoda. I'm a fair weather Star Wars fan. I enjoy them but not as much as some of my friends. I am a huge fan of the original Star Wars! However, I have not seen all of the new ones since the first disappointed me so much. I love Lego Star Wars too, it's fun to watch with my kiddos!